As one of the founding members of the groundbreaking and influential band Portishead, Beth Gibbons’s haunting, distinctive vocal range has been surrounded with electronic-fuelled instrumentation, atmospheric guitar riffs and tight hip hop influenced beats. In this extraordinary new project she has traded the contemporary for the classical collaborating with the Polish National Radio Symphony Orchestra for this moving powerful performance of Henryk Górecki’s Symphony No.3 known as the the Symphony of Sorrowful Songs conducted by Krzysztof Penderecki. Górecki’s seminal work uses three mournful poignant Polish texts from women through the ages: a 15th Century lament for Mary, mother of Jesus, a mother mourning her son’s death in the 1919 - 21 Silesian uprising and an 18 year-old woman’s inscriptions scrawled on a Gestapo prison in the Polish town of Zakopane in 1944. Following an invitation to collaborate at the concert, Beth undertook an intense preparation process which included the challenge of learning the original text without speaking the mother language whilst also carrying the gravitas of the words’ meaning. 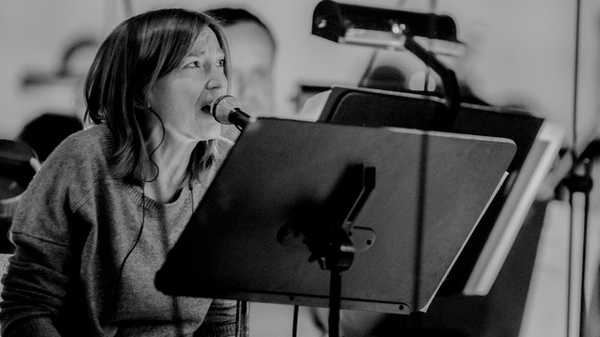 The resulting live performance, captured by Portishead regular visual collaborator John Minton, is not only an artistic triumph for the singer but also a profoundly moving and emotionally intense experience.